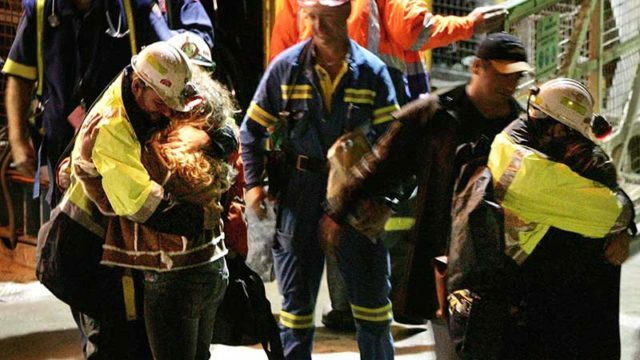 The emergency scenarios that first-responders fear the most are disasters that happen in underground areas such as tunnels, mines or collapsed buildings. That’s because – as any mobile phone user knows – communication through 4G phone networks often don’t work underground. Now specialist mobile communication expert Mobilicom (ASX:MOB) has come up with an answer. Mobilicom makes private “Mesh” style networks that operate without the need for phone towers. Instead the technology connects users directly to each other’s handsets via a “Cloud” network using special hardware and software. Like similar systems, the technology relies on access to GPS technology to connect users and synchronise two-way communication — which is a problem underground where GPS doesn’t work. Now Mobilicom engineers believe they have perfected a new software algorithm that solves that problem, enabling communication underground without the use of GPS. “We have customers such as firefighters who have to operate in the worst conditions such as an underground car park filled with smoke due to a car fire,” co-founder and CEO Oren Elkayam told Stockhead. The new technology would allow emergency workers to relay conversations directly from handset to handset — even transmitting health signals or streaming video. “Our R&D managed to develop a very complex and advanced algorithm that lets us synchronise everyone on the network down to micro-second level — even in conditions where there is no reception,” Mr Elkayam said. Other scenarios include mining as well as autonomous vehicles such as drone or unmanned trains that need constant communication even when travelling through blackspots such as tunnels. Field trials are now underway. Israel-based Mobilicom (ASX:MOB) listed on the ASX in May after raising $7.5 million at 20c a share. The shares have declined steadily since late last year, closing Friday at 8.9c. Mobilicom revenue fell from $2.2 million to $1.5 million last year while losses widened to $6.2 million. “Sales were reduced due to long sales cycle and timing in the awarding of government contracts,” the company (ASX:MOB) said in its report for the year to December. “Sales for 2016 were high thanks to projects that were initiated in 2015 and were recognised in 2016 as revenue was generated,” the company said. “Mobilicom has continued to drive successful sales in 2017 with its core business to existing and new customers, although reduced due to timing in the awarding of government contracts. The company had $8.1 million in the kitty at the end of the year.